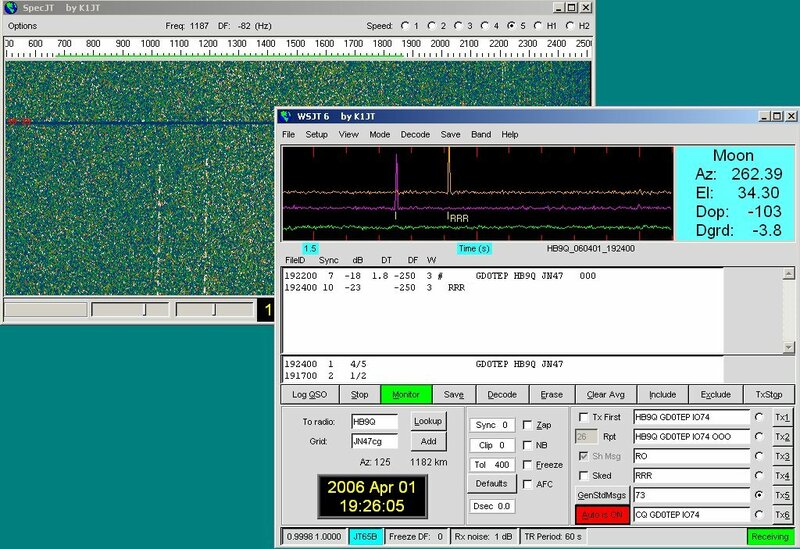 This was my first 70cm EME QSO, a random contact with Dan, HB9Q during the 2006 ARI contest weekend. Dan was very strong with me, and it didn't take long for us to complete the contact. I only called Dan once, he replied with the OOO report that I received without problem, thus sending my RO in reply. A short while later we'd completed.